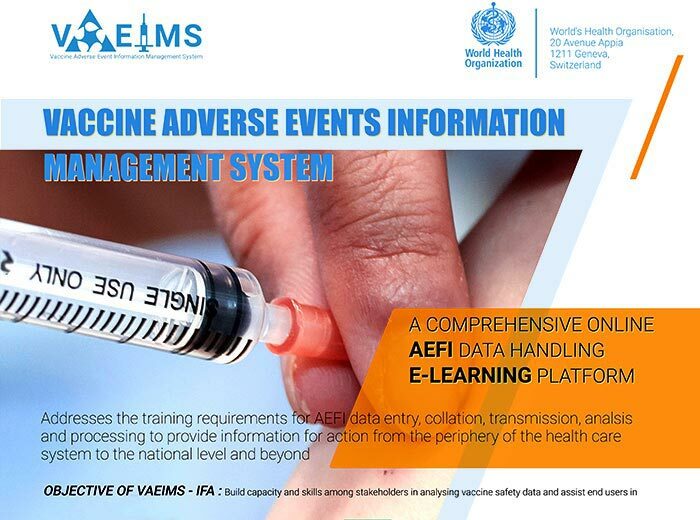 Leveraging technology to enable monitoring, recording and reporting the quality of services, as experienced by people themselves. 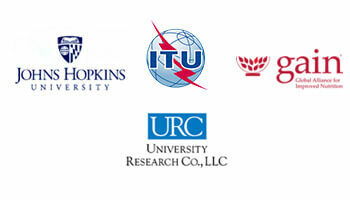 Global portals and dashboards providing analysis on more than 10’000 open datasets. 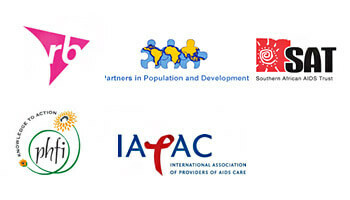 Supporting global, national and sub-national programs across public health diseases and other social sector domains. 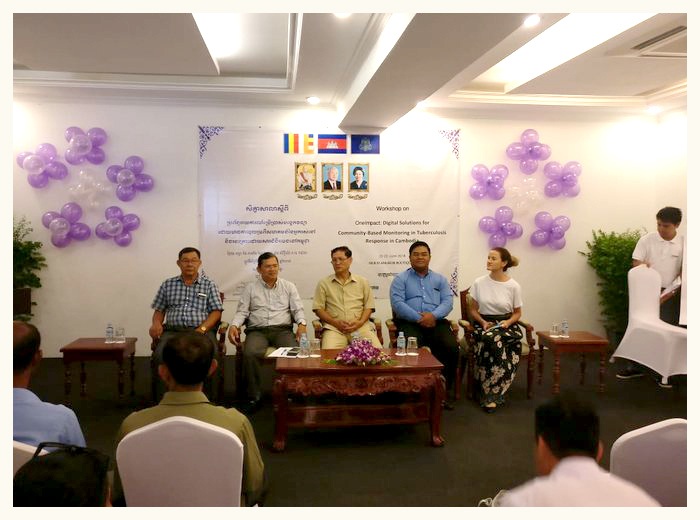 The Stop TB Partnership, with the support of USAID and in collaboration with the National Center for TB and Leprosy Control (CENAT) and KHANA launched OneImpact in Cambodia. 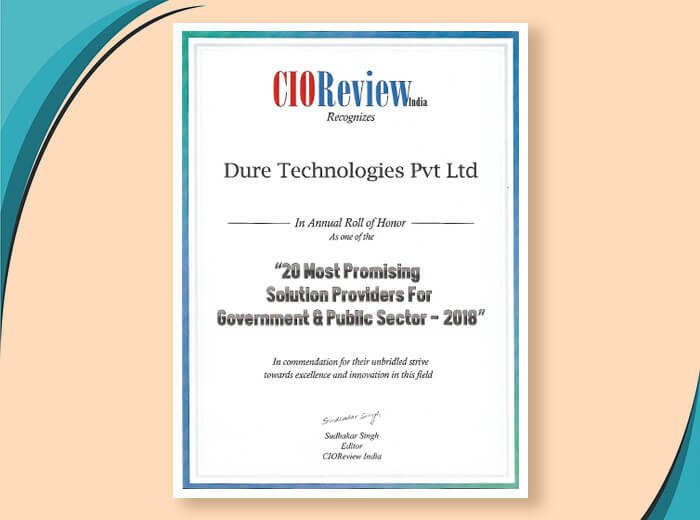 Dure Technologies awarded as one of the "20 Most Promising Solution Providers For Government & Public Sector - 2018" by CIO Review India. 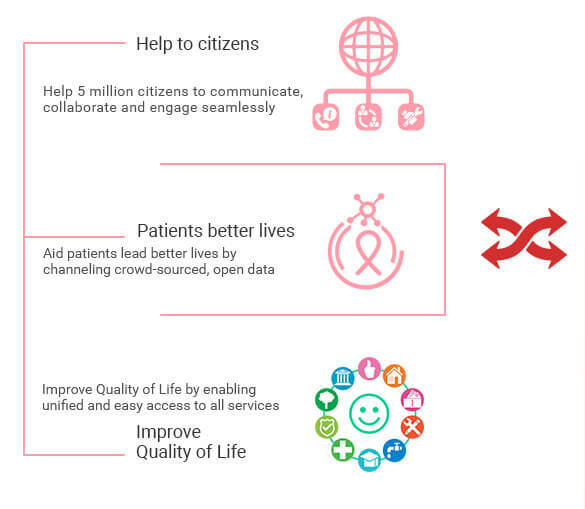 Launch of OneImpact digital solutions for enhanced community engagement & responses to tuberculosis. 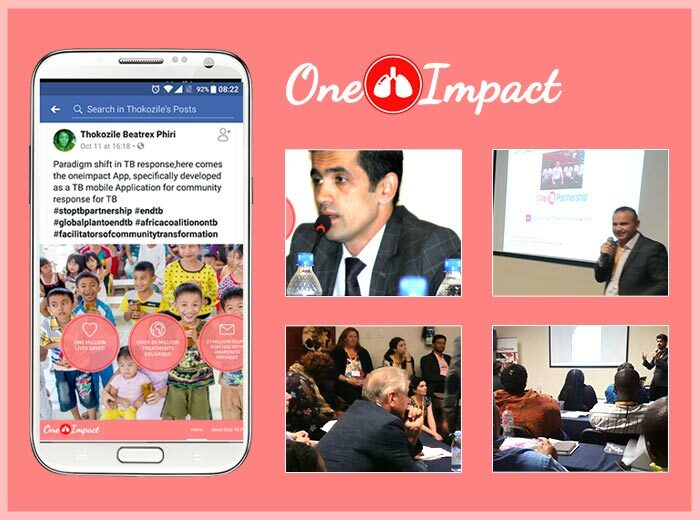 During the Union World Conference on Lung Health in Guadalajara our OneImpact platform was officially launched in collaboration with Stop TB Partnership: targeting a quick deployment in several countries, the OneImpact App will empower TB communities providing better information, giving them a voice to report issues and will effectively enhance Community engagement and support. 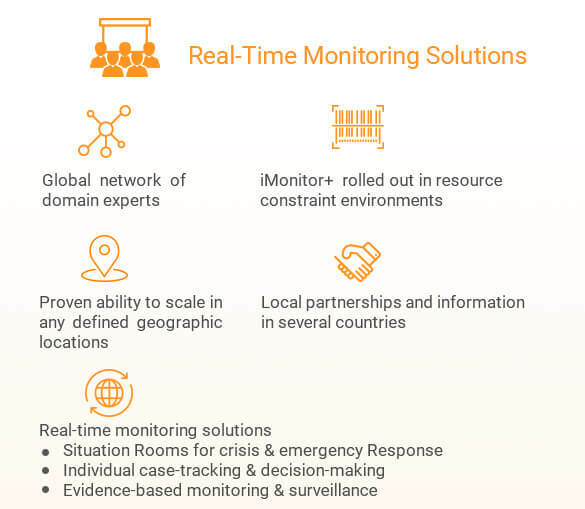 Dure’s Real-Time Monitoring solution is a first-of-its-kind system, that will greatly reduced the burden of paper and Excel-based data collection tools currently being experienced in other MAT sites. 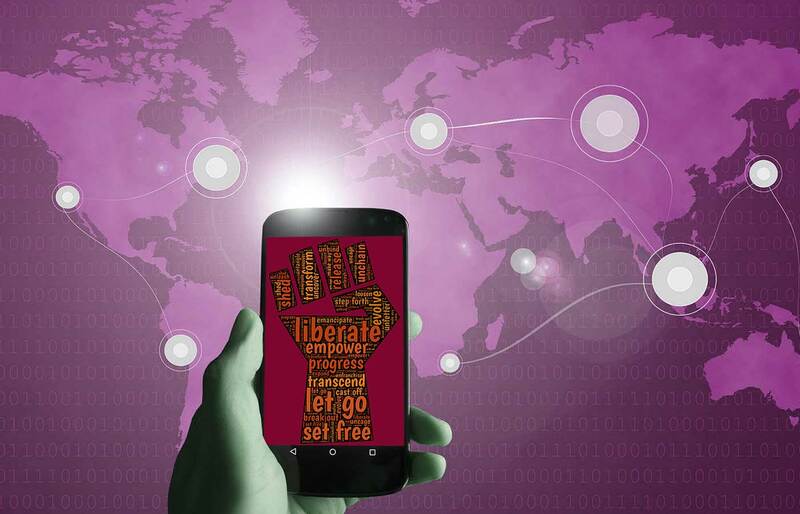 Both the Mobile App and the Web App proved to be stable and scalable, with successful data flow from one service provision point to another. 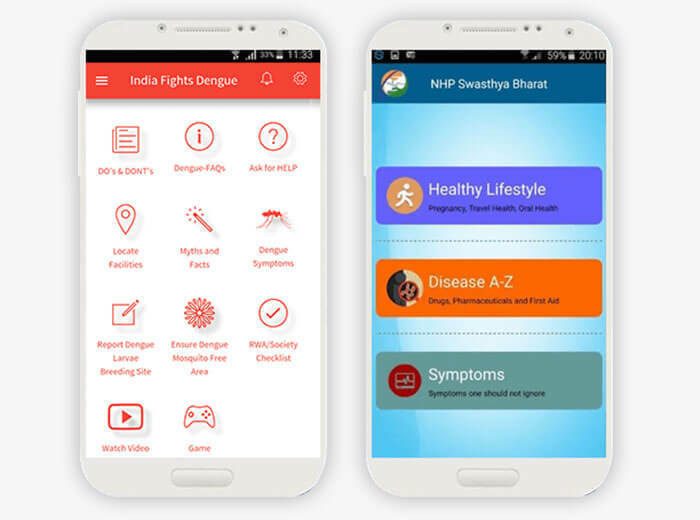 On the occasion of World Health day J P Nadda, union Minister of health and family welfare,launched 'Swasth bharat mobile application' and to fight Dengue he also launched 'India Fight Dengue' an application which will find wide use especially in case of Dengue which can be defeated only by effective community efforts. Making data useful for everyone by presenting historical and realtime data in simple, user-friendly and easy-to-read interface, where different users can get valuable information. 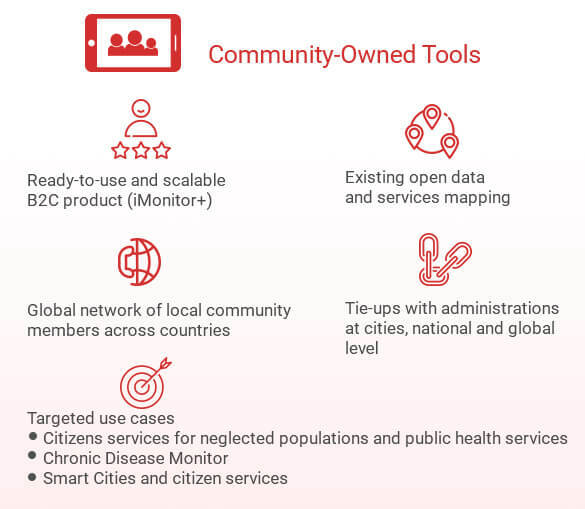 A citizen-owned tool to monitor and respond to people’s needs in real-time. 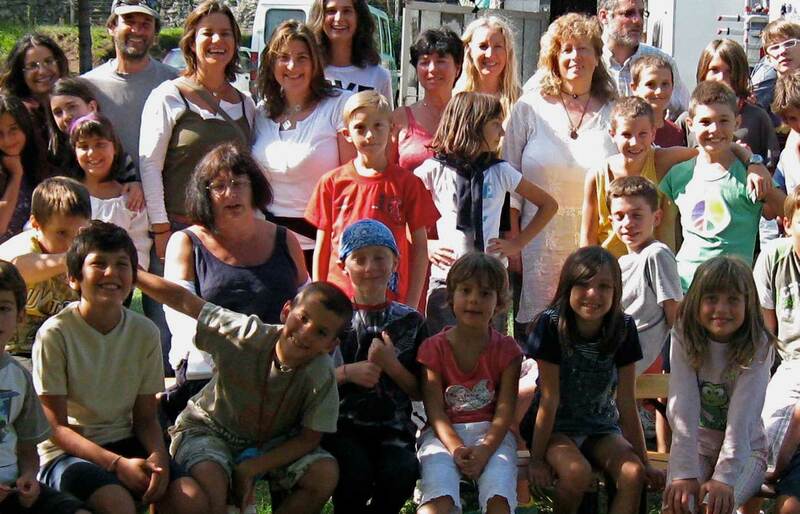 Dure Technologies is multinational technology enterprise with offices in Switzerland and India. 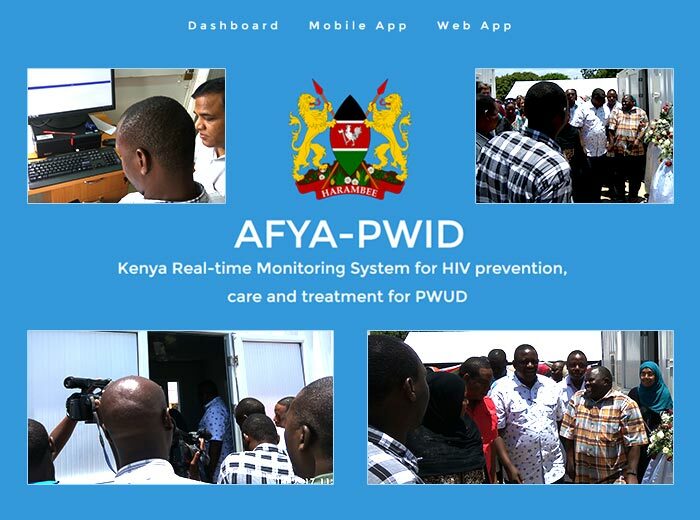 It has a portfolio of innovative technology products and solutions for public health and social development sector. 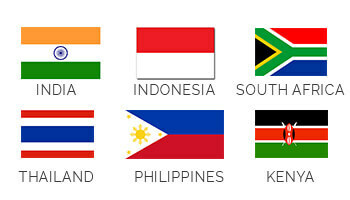 The company provides strategic services to United Nation organizations, national government bodies and related international organizations across several countries in Asia, Africa and Europe. It is a young dynamic organization continuously exploring new practical simple solutions that can bring significant impact to the day to day lives of people and the societies at large. 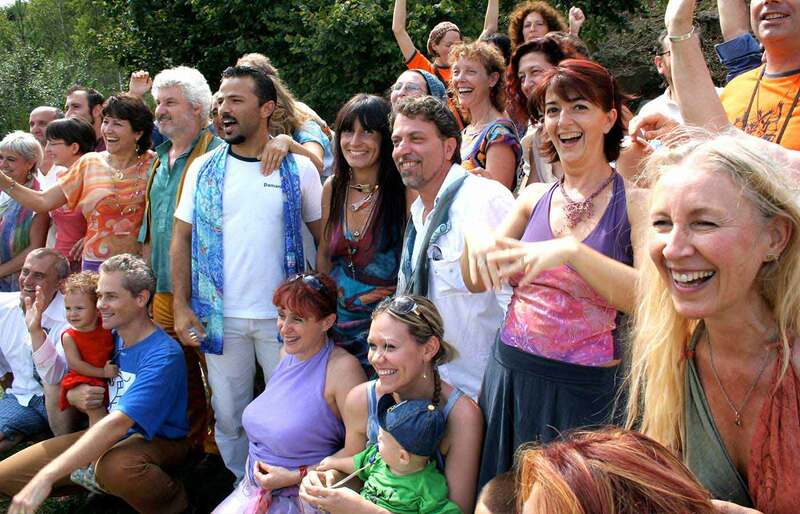 The organization is growing rapidly in several regions in Asia & Africa and is looking for like-minded professionals who have the passion to make a difference in people lives while building a business and want to be part of a fun & creative team. 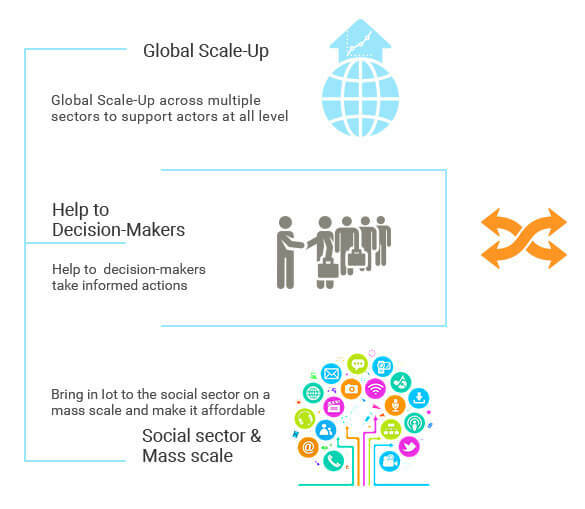 Vipin Yadav, our Founder and CEO based out of Geneva, Switzerland, is a social entrepreneur with almost 20 years of experience in designing global strategies on technology innovation involving Multinational Corporations, Governments and International Organizations. 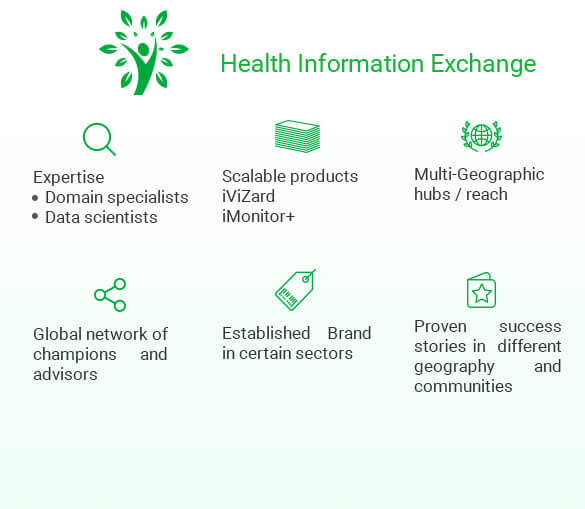 He is a visionary thought leader, playing advisory roles in global initiatives linked to Public Health, Open Data, and Empowerment of Communities. 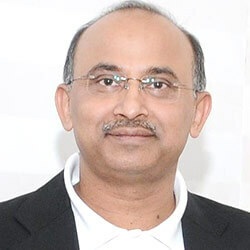 During his previous engagement with global players like AIG and The Global Fund, Vipin has been instrumental for the conceptualization of large transformation programs and ground-breaking projects in rural banking, microfinance and microinsurance, helping large Organizations penetrate new markets and delivering community-driven innovation. 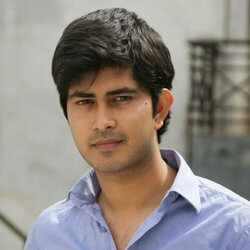 Vipin holds a Bachelor of Engineering (B.E.) in Computer Science, and was awarded University Gold Medalist by the Indian Prime Minister. BG Pal, our Chief Operating Officer based out of Mumbai, India, is a seasoned IT professional and administrator with over 25 years of experience across multiple industries. Prior to Dure, BG had professional stints with Tata AIG General Insurance Co Ltd. as Chief Information Officer., with Syncada India (a US Bankcorp and Visa Inc. JV) as Country Head India and with NIIT Technologies Ltd as Senior Vice President & Global Delivery Head. In his long career spanning over two decades, BG has been part of various management committees on information technology strategy and innovation and successfully undertaken large scale turn-key technology initiatives in Financial services and Power systems. BG holds a Bachelor of Technology degree in Radio Physics & Electronics and a Bachelor of Science (Physics major), both from Calcutta University, India. 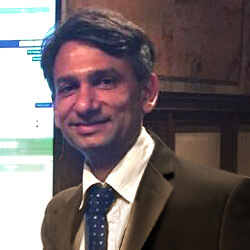 Nathsahib Narale is our Chief Technology Officer based out of Mumbai, India, and one of our founding members. He is the Chief Architect and key driver of technology innovations at Dure; designing and developing the frameworks, products and technology solutions offered by Dure, viz., iVizard, iMonitor+ and iMonitor+ Program (RTM). Nathsahib is an MBA (Information Technology) and B.E (Electrical) from Pune University; He has over 14 years of work experience in designing and implementing state-of-the-art technology solutions to address complex business transformation programs in BFSI, Public Healthcare & Social Transformation arenas in multicultural environment across the globe. 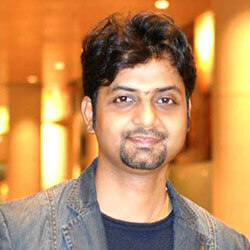 Naveen Narale our Chief Web Officer and Global Delivery head based out of Mumbai, India and one of our founding members. He is heading our Digital initiatives viz, Data Visualization, Web Development, Search Engine Optimization, Website Monetization and Web Analytics. In parallel, he also manages our cloud hosting infrastructure, deployment and its management. 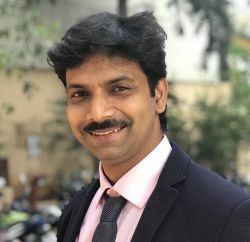 Naveen is an MBA (Information Technology) from Mumbai University, a Gold Medalist in PG (Computer Management) from Mumbai University and also hold a degree in BA (Economics) from Mumbai University. He has over 14 years of diverse experience on technologies and has been an entrepreneur himself, designing and developing website and web-based applications. 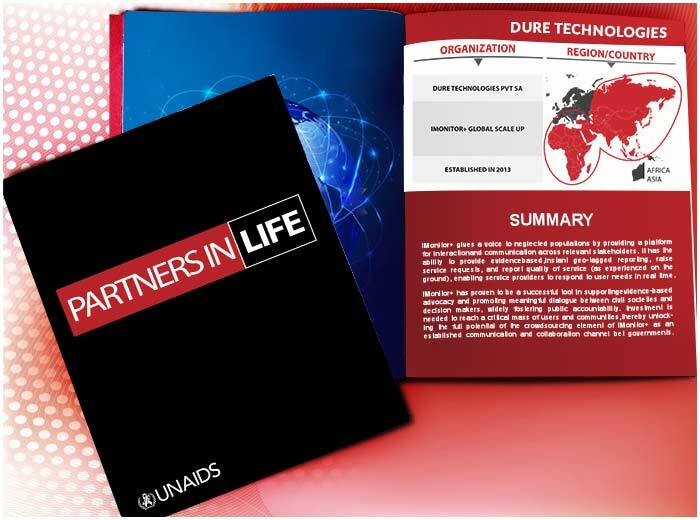 At Dure, he has undertaken large-scale strategic initiatives and programs for global clientele, like Fast-Track Cities for IAPAC, US; View-Hub for IVAC, US; Situation Room, UNAIDS Headquarters in Geneva; AIDS Data Hub, UNAIDS Asia-Pac Regional Office; HIV Zero Portal, Indonesia and more. Shital Thakkar is our Global Delivery Head based out of Mumbai, India and one of our founding members. At Dure she is responsible for driving technology initiatives using our iMonitor+ product suite for community-based initiatives, at global level. 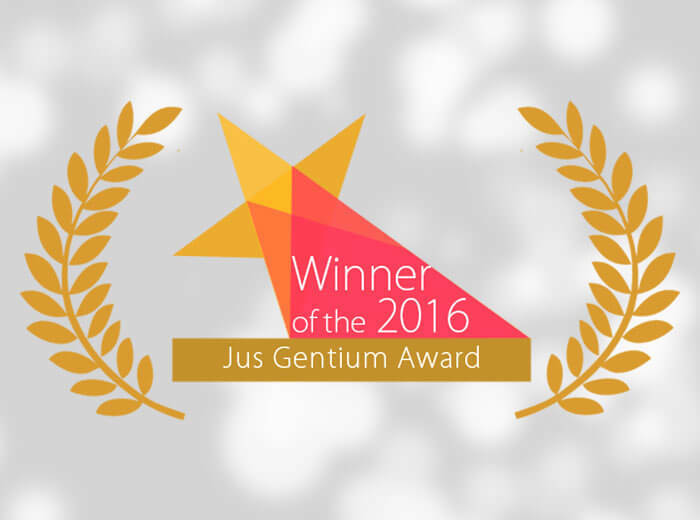 Besides managing delivery, she is responsible for business solution design, software engineering and governance, resource management, etc. Shital has a Masters Degree in Information Technology ( MSC IT ) and over 16 years’ experience in designing, developing and implementing technology solutions in Insurance and Public Health. 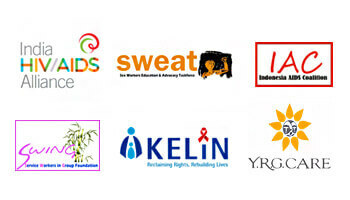 She has been engaging with Global HIV Experts from WHO, UNAIDS, CDC and others, to define functional and system requirements for roll–out of strategic programmes. 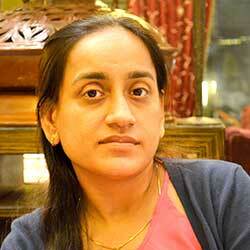 She was instrumental in defining and implementing Real-time monitoring systems in India, Philippines, Thailand, etc. Amit Yadav is our Business Operations Head for APAC, based out of Delhi, India and responsible for client engagement and field operations driving successful implementation of large programs. 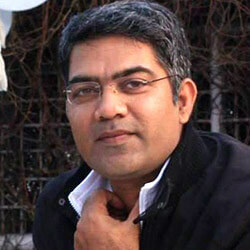 He also heads our Delhi operations and is responsible for business development. Amit holds MBA in Marketing and has over 19 years of experience in Operations in Telecom Industry and managed large-scale operational projects involving 250+ people. He has been instrumental in rolling out large national projects in Asia. 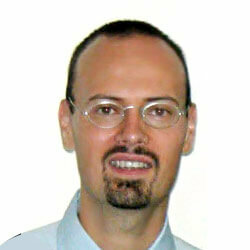 Maurizio Beccherle is our Business Operations Head for Europe & Africa based out of Geneva, Switzerland. In this strategic role he manages some of the key accounts with UN organisations and African governmental bodies, engaging with high-level clients, partners and stakeholders while overseeing the operations of the Company’s Headquarters in Geneva. Maurizio holds an MA in Military History, a post-graduate certificate in eBusiness and an Executive Master in Advocacy in International Affairs; he has more than 15 years of experience in Marketing, Public Relations and Corporate Communications having worked for NGOs, innovative start-ups and Multinational Corporations in a wide range of sectors and domains in various locations in Asia and Europe. 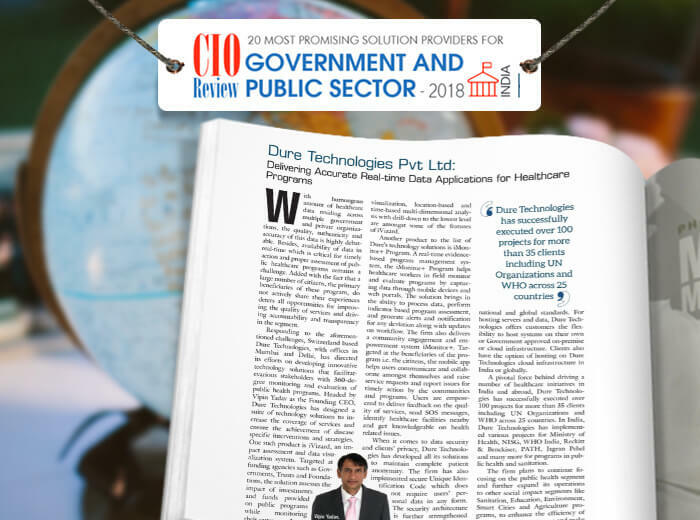 Sabyasachi has contributed in conceptualizing and implementing technology innovations and design thinking for several social and public sector projects. In his last engagement with Government of Karnataka as part of State e-Governance Mission Team, he was instrumental in implementing one of world’s largest Mobile Governance project, M-One which was launched by President of India. 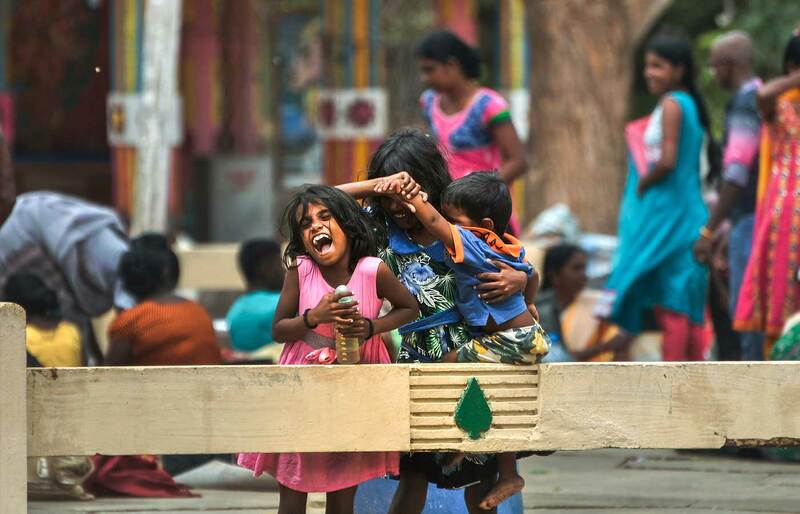 As an AVP at IKP Centre for Technologies in Public Health (ICTPH), he has conceptualised and implemented mobile based data collection and reporting process through a network of community healthcare workers in rural Tamil Nadu. Sabyasachi has done his masters in Biomedical Genetics from VIT and has worked as a Research Fellow at All India Institute of Medical Sciences (AIIMS), Delhi. He is a travel enthusiast and loves painting or sculpting in his free time. Role: The company is currently hiring for Business Development Manager, operating out of its office in UK, for managing Business Development, Sales, Account management and Program Implementations in Europe, Africa and Asia regions. Develop business strategies, tactics and plans for future growth of company’s business , partnerships and sales in the defined region especially in UK, Sub-Saharan Africa and India. 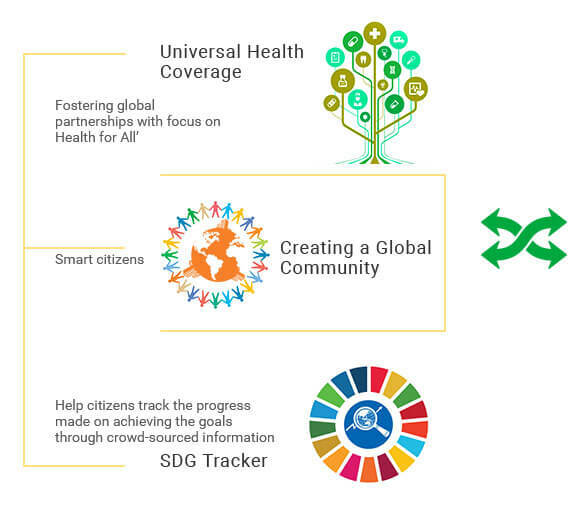 Key focus will be the developing and under developed markets focusing on Smart and Healthy Cities with high health care burden for communicable and non-communicable diseases, sanitation and malnutrition. 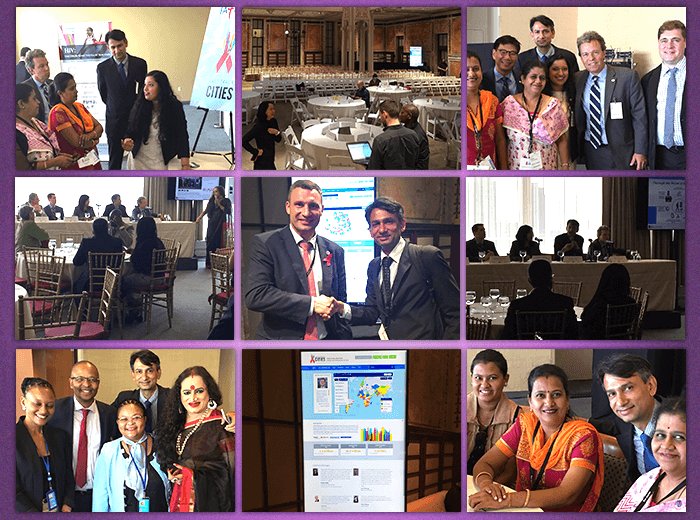 Establish long term strategic partnerships with targeted key global organizations, SMBs, NGOs based in UK, Sub-Saharan Africa and India. Build a strong customer relationship with a focus on understanding their needs, expectations and focus on customer satisfaction.